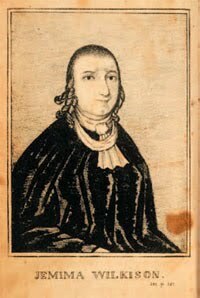 Jemima Wilkinson (1752-1819) was a queer American preacher who woke from a near-death experience in 1776 believing she was neither male nor female. She changed her name to “the Publick Universal Friend,” fought for gender equality and founded an important religious community. It’s appropriate to consider the Publick Universal Friend around July 4 for Independence Day. In 1776, the same year that America issued the Declaration of Independence, Wilkinson declared her own independence from gender. This fascinating person died almost 200 years ago today on July 1, 1819. The preacher and prophet known as “the Friend” defies categorization. 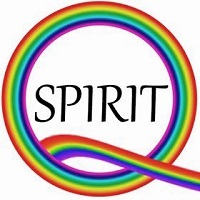 The Friend has been labeled a “spiritual transvestite” and is on lists of “famous asexuals” and “a gender-variance Who’s Who.” As a gender nonconformist whose life was devoted to God, the Friend fits the definition of a queer saint. The androgynous Friend was many things to many people. Jemima Wilkinson was born to a Quaker family in Rhode Island on Nov. 29, 1752. She showed a strong interest in religion while growing up. On Oct. 13, 1776, the Sunday after being reborn, the Friend gave a public sermon for the first time. Quaker officials rejected the Friend as a heretic, but s/he went on to preach throughout Rhode Island, Massachusetts, Connecticut, and Pennsylvania. Hostile observers put the Friend on trial for blasphemy in 1800, but the court ruled that American courts could not try blasphemy cases due to the separation of church and state in the U.S. constitution. Thus the Friend was a pioneer in establishing freedom of speech and freedom of religion in American law. The Publick Universal Friend continues to fascinate people today. 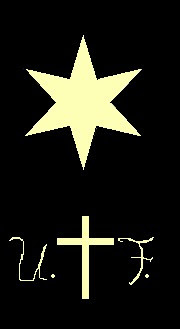 One of the most authoritative biographies of this mysterious person is Pioneer Prophetess: Jemima Wilkinson, the Publick Universal Friend by Herbert A. Wisbey Jr. In recent years the life and work of the Friend has been examined by feminists and LGBTQ scholars, including gay historian Michael Bronski in his Lambda Literary Award-winning book, A Queer History of the United States . I'd never heard of the Publick Universal Friend before today. Thanks for bringing this fascinating (and pretty progressive) person into my life, Kitt.